Global Intake provides online and real time analysis, strategic forecasting and risk mitigation covering security, travel and political risk issues around the world. Client-focused political and economic risk consulting with regional or sector experts. Strategic analysis and forecasting to insurance and financial services. In-depth, bespoke reports for clients deploying to or operating in challenging environments. Written with the client’s operating profile and objectives in mind. 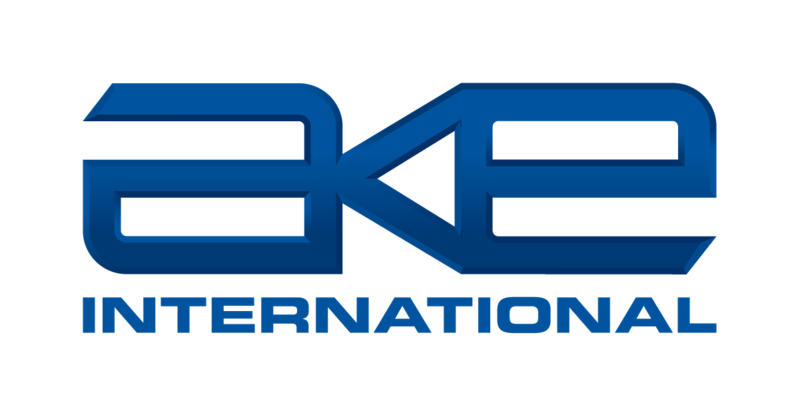 Global Intake 2.0 is the flagship product of AKE intelligence. 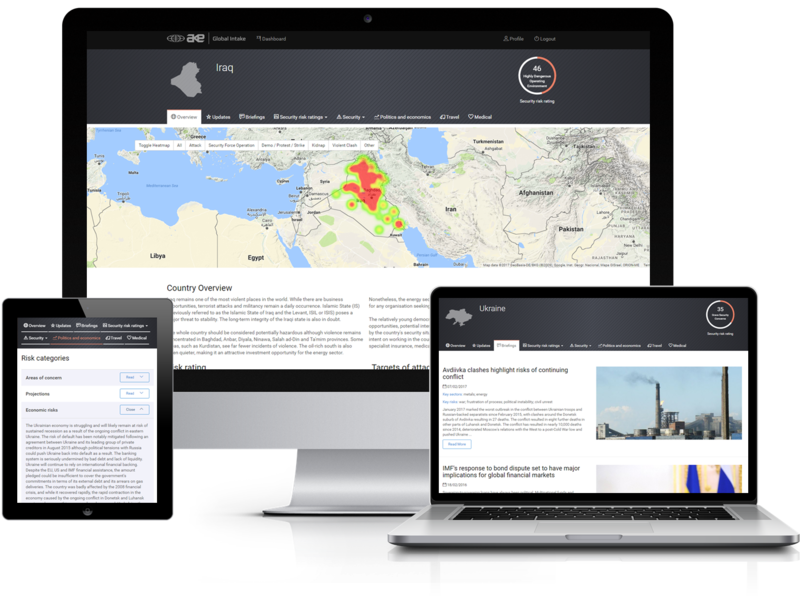 It includes online access and emailed reports providing analysis, strategic forecasting and risk mitigation advice to a range of clients affected by security, travel and political risk issues around the world. Global Intake contains hundreds of detailed country reports updated in real-time, as well as a unique security risk rating scale and an archive of historical analysis going back more than a decade. The emailed intelligence includes daily morning briefings and more in-depth, twice-weekly analytical reports assessing the most important issues of the day. 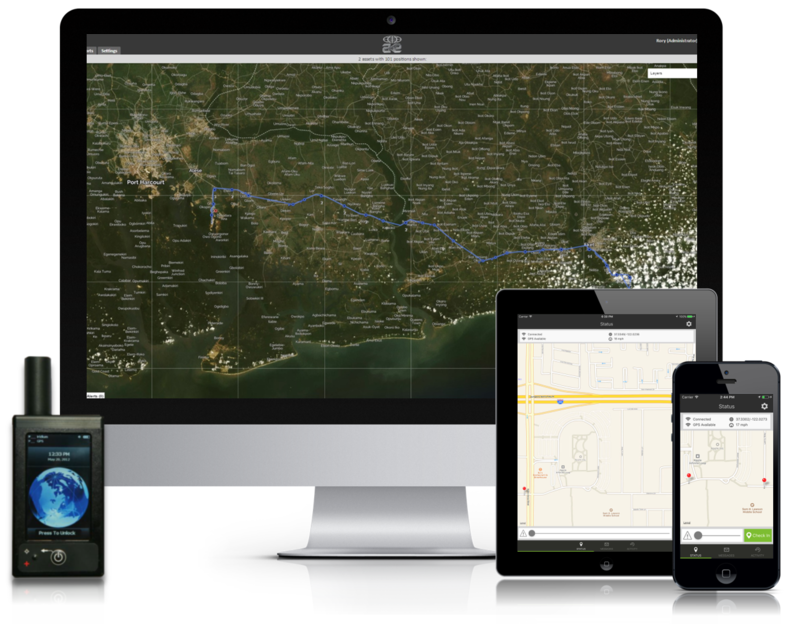 Proactive alerts also notify subscribers when conditions worsen or improve around the world, providing contextual analysis and advice for managing what can be fast-paced and volatile situations. Global Intake helps users monitor, manage and mitigate risks by providing them with comprehensive yet concise analysis and advice. This allows organisations to achieve goals, increase profit and stay ahead of the competition without compromising safety, even in the world’s most challenging environments. For more information, or to arrange subscription access or a free trial please view the product page, email us or call us on +44 (0) 20 3816 9970. AKE Intelligence provides in-person or telephone political risk consultancy, for anything from operational concerns to macro-economic risks. This can be offered either on a regular basis or as and when required with one of our regional or sector experts. The team has a wealth of experience in their regions and in various sectors. We have 15 languages spoken in house and years of experience with the energy, insurance and media sectors. All of the analysts are experts at keeping up with political risk and forecasting developments in the regions for which they are responsible. Risk Outlines, Briefs and Assessments are in depth, bespoke reports for clients deploying to or operating in challenging environments. The reports provide insight into key threats, projections, mapping and imagery, profile analysis and practical risk mitigation advice designed to assist with pre-departure planning. All reports are bespoke to each client, and written with the client’s operating profile and objectives in mind. For more information on the contents, or to order a report please fill in a contact form, email us or call us on +44 (0) 20 3816 9970. A short, succinct report that outlines the key risks in a specific location to inform pre-departure security planning, including areas of concern, recent incidents and basic practical risk mitigation advice. The report is ideal for short term deployments to hostile environments, and is available within a quick turnaround of 1-2 working days. An easily read, medium length report that provides country security risk ratings and comparisons, regional geopolitical analysis, location-specific analysis, location mapping (including annotations of recent incidents, points of interest and areas of concern), key risks, recent incidents and risk mitigation advice. The report can be used to inform project planning at a greater level of detail and projective analysis than the Risk Outline, and is available within a turnaround of 3-5 working days. A comprehensive bespoke security risk assessment that provides considerable detail and analysis of a full range of security risks affecting a longer term project or deployment, used to inform project planning of security and medical risks through in-depth, projective analysis. Each report is created specifically for the client, and the content and subheadings are tailored to ensure key concerns are addressed. The reports are created by AKE’s analytical department with input from Security Risk Specialists from AKE’s training and operations department, including advice on how best to address medical, climatic, travel and military threats, contingency planning and in-country advice. The writing of the report involves contact with both the regional analyst and security specialists who will assess the strengths and weaknesses of the client’s pre-deployment preparations, in-country security management plans, and threats specific to each individual task. The process forms a key component of the planning stage for deployments to high risk environments.